Innisfree's Green Tea Morning Cleanser enriched with organic Jeju Green Tea and Green Tea seeds is a mild, non-foaming cleansing gel that hydrates skin while it whisks away dirt and impurities. This non-foaming cleanser gently massages your skin to take away skin waste and sebum produced overnight and helps your skin to be makeup-ready by keeping it hydrated. Infused with 3.5 times more amino acids than the original, keeps your skin dewy even after cleansing and provides a clear complexion. Explore the entire range of Cleanser available on Nykaa. 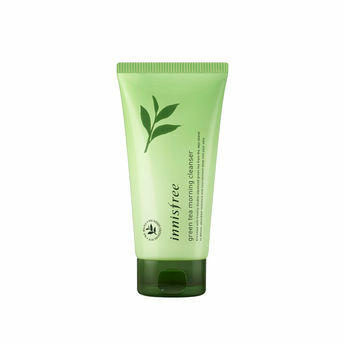 Shop more Innisfree products here.You can browse through the complete world of Innisfree Cleanser .